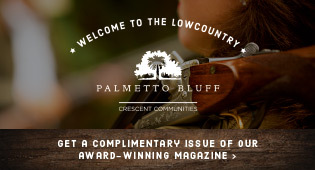 Hilton Head Magazines: CH2/CB2: They Need Me! What a crazy week! We are officially South Carolina residents. Like so many other people in the USA we were trying to sell our house. My husband had taken a job transfer last January and we lived apart for 5 months and then the kids and I joined him this summer. This blog is about parenting so I will not bore you with the details of trying to sell a house, keep it clean (with two kids! ), manage everything on my own while husband was living in the Low Country. We started school in Bluffton and I started working. Well, I started my new job and 2 days into it I found out that we had a contract on the house and they wanted to move into it in a week. By God’s grace it all happened. I left work and children and traveled to Florida to be with the packers and movers and go to the closing. But while I was gone this Mom was missed. I returned last night to find out that for 6 days straight my kids ate every meal out and no teeth were ever brushed and my son had his very first tardy. I came home to internet access and found that I had 54 real emails and one was from my son’s teacher. She mentioned that he had forgotten to do some homework and was letting me know that he was going to have to complete his assignments. A huge sense of pride washed over me. They need me. Before I left I thought about laying out the kids clothes and writing down every routine, arranging carpools, and scheduling play dates but then I thought twice. I do not like to be micro managed. Who does? I am married to a very capable man. He is successful and smart. He can handle school, soccer, breakfast, dinner, packing lunches, homework, baths, books, teeth brushing, and bedtime. He can do this and I do not need to treat him like he cannot. Well, they all survived and I was missed. My husband told me this morning that they last six days were crazy. My daughter cried and said she just wanted to stay home with me today and not go to school. My seven year old son who dodged me last week and wouldn’t hug me, well he ran into my arms when he saw me last night. I missed them, too. Sometimes as a mom I wonder if my family’s world would fall apart if I wasn’t there to make it all happen. I learned that no it won’t fall apart but they might be a little cracked for a while.